If I had asked people what they wanted, they would have asked for a faster horse. The above Henry Ford quote is often cited in presentations about innovation. The point of the quote: An inventor who listens to customers too closely, without observing customer behavior, will reap tiny improvements at best. 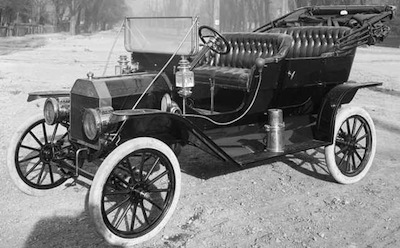 Ford ignored the request for “a faster horse”, and that is how the Ford Motor Company became a leader in the early auto industry. That’s one way to interpret Ford’s quote. Last night, I was introduced to another view. Last night’s IxDA Chicago meeting featured a presentation by Chris Holmes, who shared a different view of the Ford quote. If we focus on improving the speed of horses (perhaps through nutrition or better horse shoes) very little improvement can be achived. But something interesting happens when we parse the quote differently. The adjective faster reveals the customer’s true need. The noun horse is the customer’s “solution” based on what they currently know about the world. For the innovator, faster stands out. Focusing on faster leads to innovation. Faster tells us that we can stretch beyond our current thinking and consider other modes of transportation. Focusing on faster led to the beginning of the automobile industry. Customers are communicating their desires all the time. We need to listen carefully and parse well. Thanks IxDA Chicago and Chris Holmes for the lesson.